Hey moms! 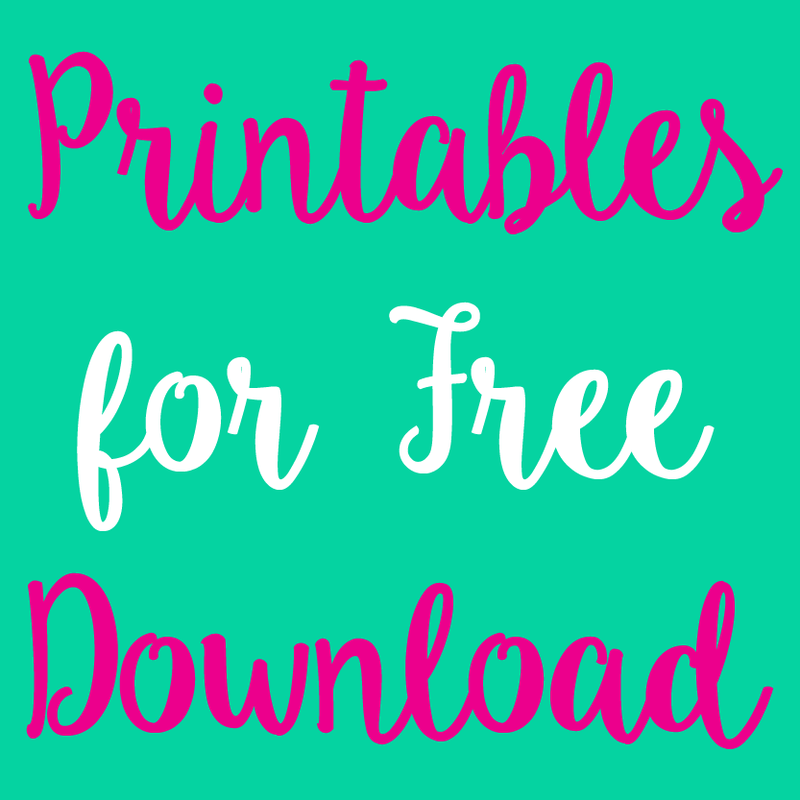 Are you waiting at school for your kids' dismissal? If you are, then welcome to the club! 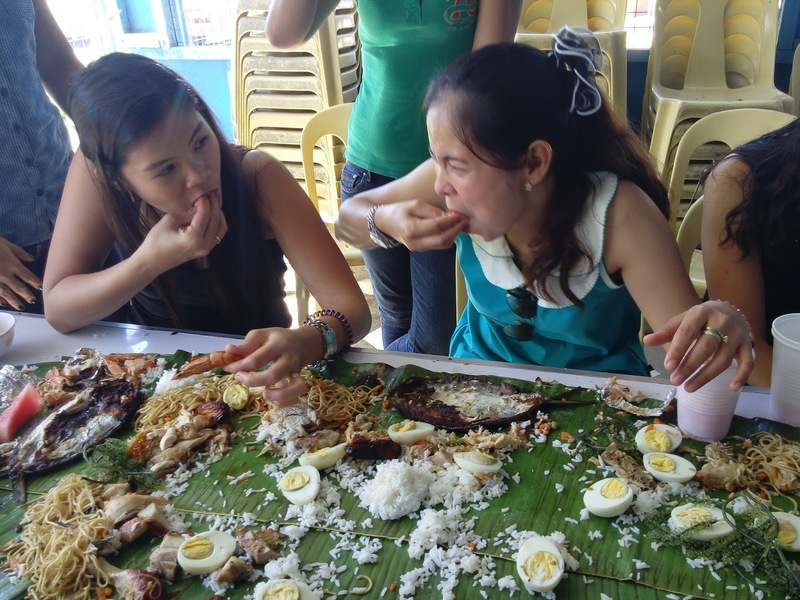 You may want to start a group of mommies then try one of our ways to help pass the time without boredom - Boodle Fight! Last 2 years, when it's only my son who's going to school, I had to wait for him until the dismissal. Those times my sister-in-law was still with us so my daughter was left at home. My son's Nursery and K1 classes were held for 2 hours which means I had to wait 2 hours at school too. After spending a few days waiting at school, I met parents and eventually befriended them. 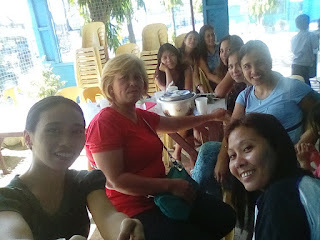 It's not hard to get along as mom to mom relationship is easy. 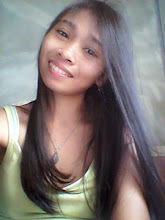 Just need a little head start to open a topic and everyone will surely continue. 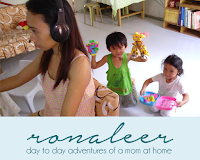 Of course the topics are about life of being a mom, a wife, a housemaid, blah whatever. Hahaha what do you expect?! By and by, we have learned a few tricks to help pass the time instead of chatting only. Due to rush hours, we oftentimes forgot to have lunch. 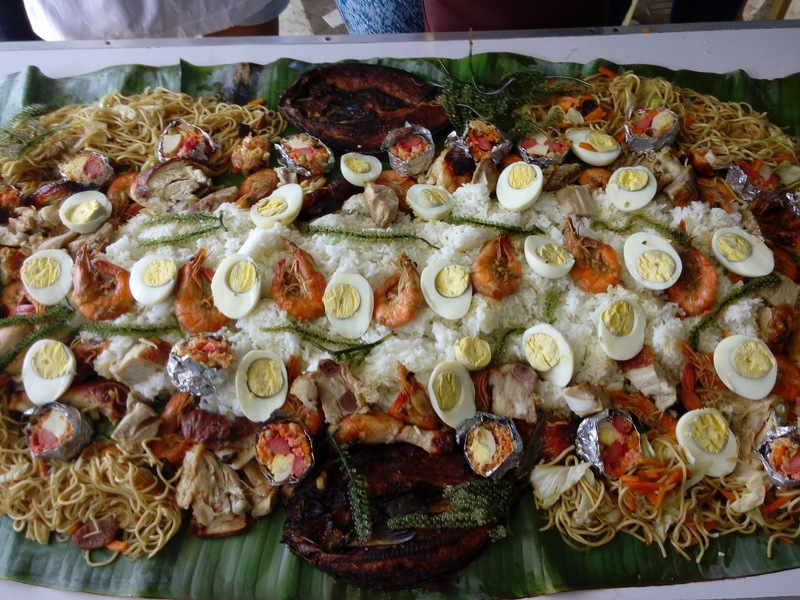 And so, here is one of the fun things we do while waiting - Boodle Fight! Boodle Fight is a military style of eating where long tables are covered with banana leaves and on top of them are the food. 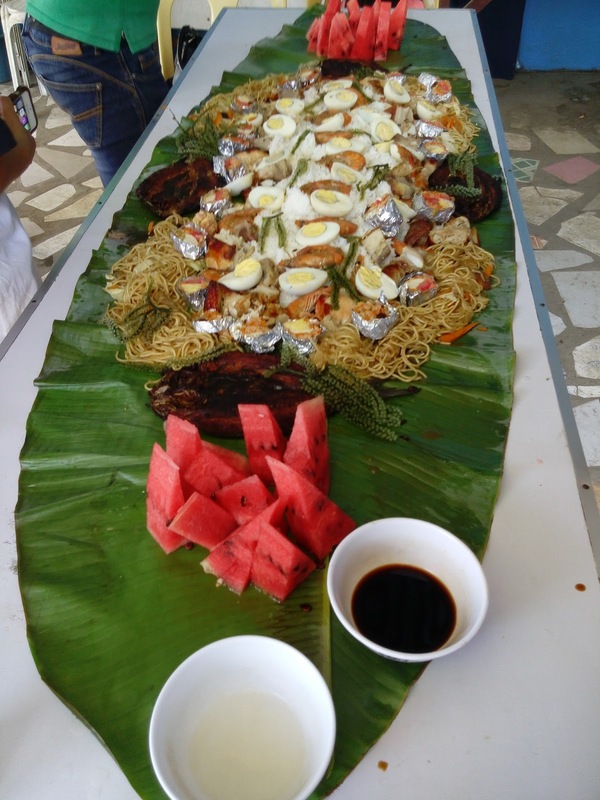 Usually, the rice at the center then the viands around it and eating them with clean bare hands. 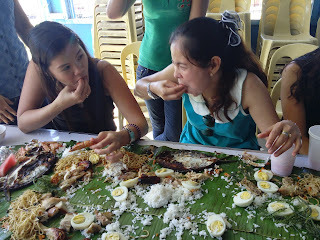 It is like an eating combat where you all gather around the table and aim for the free-for-all food you wish to devour. Do's: Always wash your hands before eating. Clean the area after the eating combat. Don'ts: Leaving unconsumed food. Saying "ew's" and "yuck's". 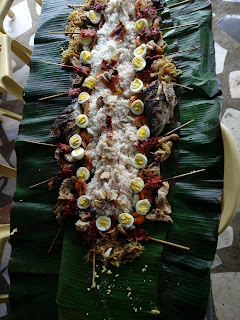 This was our second Boodle Fight food trip. The menu is getting more and better. As usual, I aimed for the sumptuous seafoods brought by a fellow mom. Eating with our bare hands is a common Filipino custom but sharing the food with everybody makes a different thing. 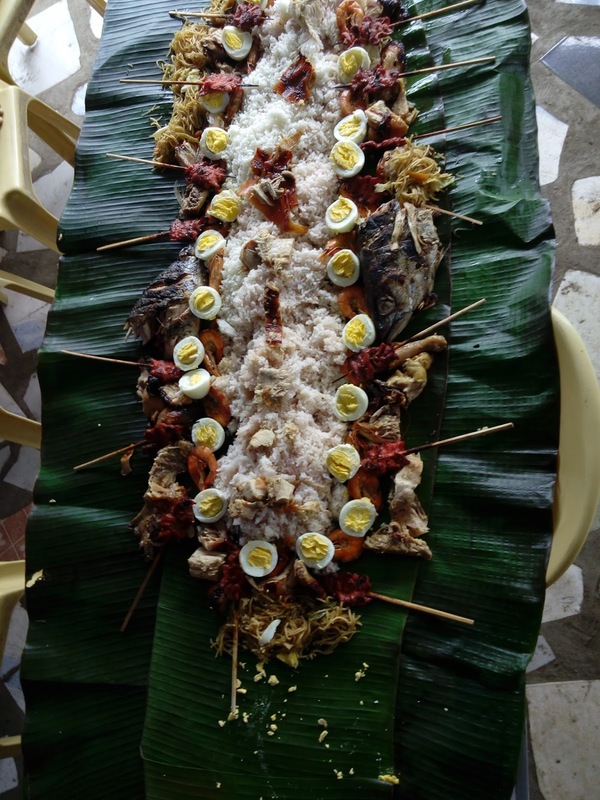 It brings us closer as Boodle Fight eating symbolizes equality. It knows no rank or status, therefore, no Maarte kind of people are allowed. 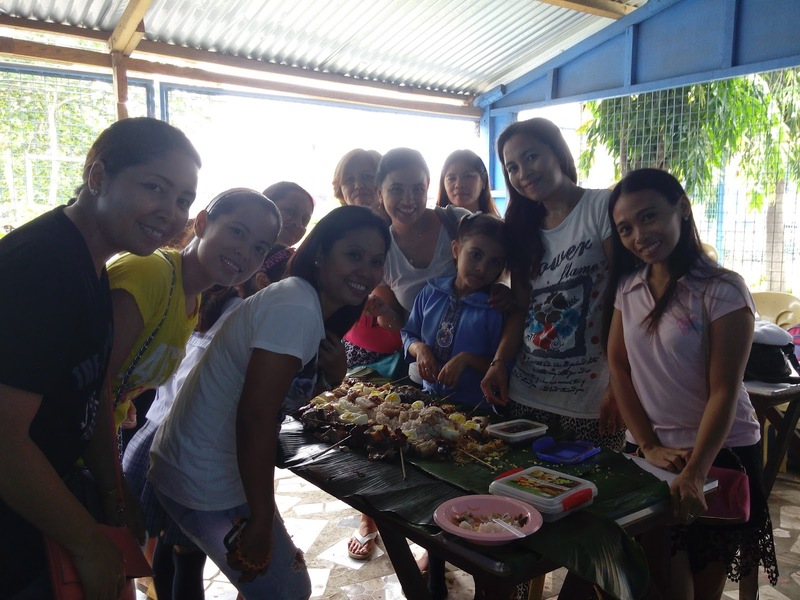 We savored the food and definitely we loved the camaraderie we've shared. The bond we already have is getting stronger.